U.S. Attorney General Jeff Sessions told a gathering of law enforcement officials that “we have your back” and praised tough on crime policies he said can lower violence rates. 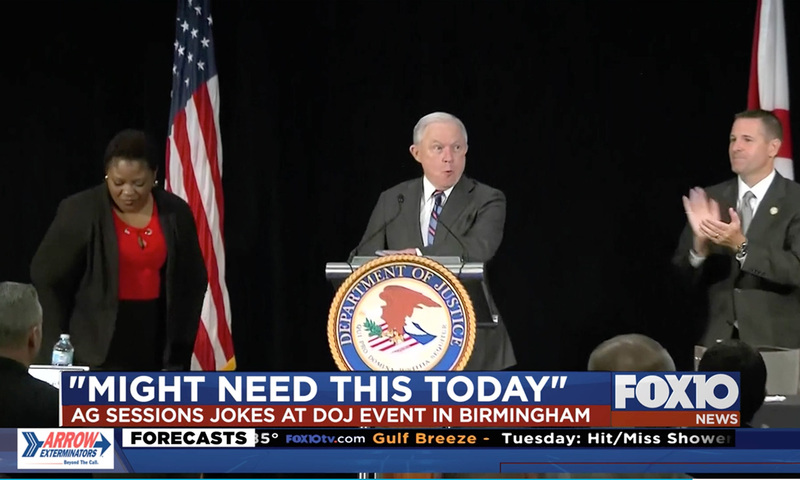 The attorney general spoke Monday in Birmingham at the Justice Department’s National Public Safety Partnership Symposium. Sessions called President Donald Trump a “law and order” president. Sessions said new crime statistics show that violent crime and murder declined in 2017. The former Alabama senator spent the weekend in his home state. He did not mention Trump’s criticism of him or the controversy surrounding Deputy Attorney General Rod Rosenstein.